SANTIAGO, April 9 (Reuters) - Rio Tinto said it will join a World Bank initiative intended to help developing countries sustainably mine lithium, cobalt and other minerals critical to the global electrification trend. Rio's participation in the program, known as Climate-Smart Mining and set to launch in May, comes as miners face increasing pressure from investors and non-governmental organizations to make supply chains more sustainable while reducing climate impact. The program "will innovate and deploy financing specifically designed to manage the clean energy transition - responsibly, pragmatically and sustainably," Arnaud Soirat, Rio's head of copper and diamonds, said in a Tuesday speech at CRU's World Copper Conference in Santiago. "Significant challenges will likely emerge if the climate-driven clean energy transition is not managed sustainably," according to a World Bank presentation. Rio plans to offer technical consulting advice, as well as contribute $1 million over five years to the program, according to a spokesman, joining efforts by the World Bank to raise $50 million from the private sector. "We believe strongly in ensuring the transition to a low-carbon world is managed sustainably, in a way that respects the environment and manages material impacts," the World Bank said in a statement to Reuters. The bank said it hopes automakers, governments and other miners join the initiative. Anglo-American Plc confirmed on Tuesday that it will join the program as well. "Society’s expectations of mining have increased and this has now extended into the investment community in an even greater way," Rio's Soirat told delegates. "What we are experiencing now is qualitatively different." 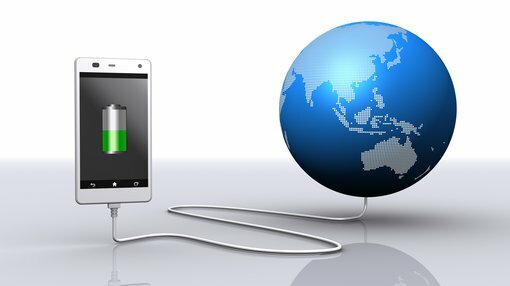 Many of the critical minerals used to make electric vehicle batteries are found in developing nations, and the World Bank initiative seeks to avert major ecological damage at mine sites. Sustainable mining is increasingly a topic of import even for those miners not directly involved in the World Bank effort. Daniel Malchuk, president of operations at BHP's Minerals Americas, said last week in Santiago that copper producers must collectively raise their game to improve the metal's ethical and green credentials as aging mines require more water and energy to produce the same amount of metal. "Collectively, we have to deliver our products more sustainably with the ethical end-consumer in mind," he said.